International meetings can be tricky. Language barriers can make communication difficult, while time zone differences can make finding a suitable time can be awkward. Find a suitable time. If you only need to accommodate a couple of major locations, this can be relatively easy, but it can get ridiculously complicated if you are trying to co-ordinate attendance with people around the world. However, there are some great tools that can help you visualize working hours in various time zones. The World Clock Meeting Planner is one of my favorites: you can input up to four cities, and it produces a chart showing how the times vary in the various locations, helpfully color-coding the times shown with green for working hours, yellow for non-working hours, and red for times when people usually sleep. When you’ve determined the time for the meeting, it can be useful to include a link to a tool like the Event Time Announcer in the meeting invitation to ensure that attendees don’t make any time zone conversion mistakes. Rotate meeting times. 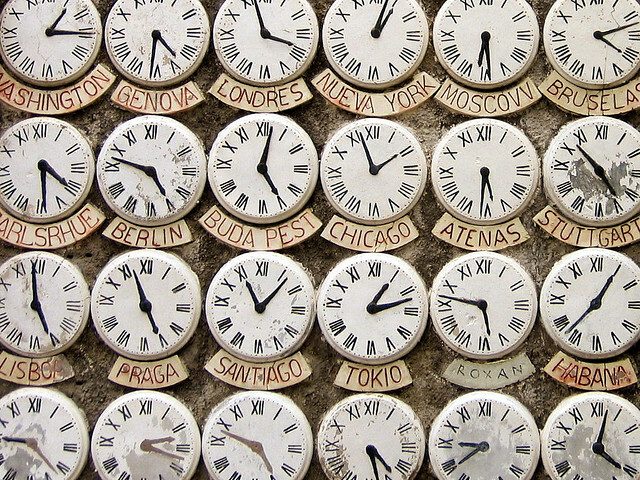 If you regularly have a meeting involving participants from spread of time zones where it is impossible to find a time that suits everyone, try rotating the meeting time (also known as “sharing the pain”). You rotate the meeting around, so that everyone gets convenient times sometimes, and also gets the terrible times sometimes. For example, my company recently moved a meeting that had been at noon my time for about a year to 11 p.m. to better accommodate Asian participation, and we’ll probably keep this new time for a while before moving it again six months to a year from now. Send materials in advance. You should still send materials in advance even if you are using a meeting tool that allows people to access them during the meeting. I’ve been that lonely participant in a remote hotel room with a terrible Wi-Fi connection unable to keep me online and logged into the meeting tool. If you want everyone to participate, make sure you’ve sent the materials in advance so they aren’t relying on an Internet connection. Allow plenty of preparation time. Whenever possible, you should send out an agenda and materials 24 to 48 hours in advance of your meeting, especially for international meetings where not everyone is a native speaker. This helps to ensure everyone receives the materials with enough time to review them. With non-native speakers of the language, having some time to review the materials and come prepared with questions can make the difference between a successful meeting and one that doesn’t really accomplish much. Speak slowly. This is hard for me, so I appreciate it when someone asks me to speak more slowly. For participants who aren’t native speakers, speaking slowly helps give them time to process what you are saying, but it can also help people with poor audio quality over cell phones, or on international phone lines with delays. Pause for questions. Leave plenty of time for questions, and provide lengthy pauses to give people time to think about their questions. Too many people rush through presentations without giving people time to respond with questions. This is especially true in international meetings, as in some cultures, interrupting is considered rude, and also some participants may need a little extra time to think about how to translate their question into your language before asking it. If your pause for questions doesn’t feel uncomfortably long, it probably wasn’t long enough. Send minutes. Don’t forget to follow up after the meeting with detailed minutes, materials and any action items people are responsible for accomplishing. This means you should assign someone to take notes during the meeting, so the same person isn’t trying to present and take notes at the same time. Having detailed minutes is a great way to make sure you can follow up with people and gives people who had a hard time following along a little more information to review. Photo courtesy Flickr user leoplus. Couldn’t agree more with “Speak slowly” and “Pause for questions.” Very difficult, but incredibly important. I work for PGi and we have colleagues all over the world. I appreciate the challenges and rewards of working with other cultures. Very valuable skills to have! Dave – Check out iMeet.com. I think you’ll like it. My personal favourite tip: do all you can to avoid meetings. Meetings should be a last resort to solve communication issues w/async forums, not a replacement for them.